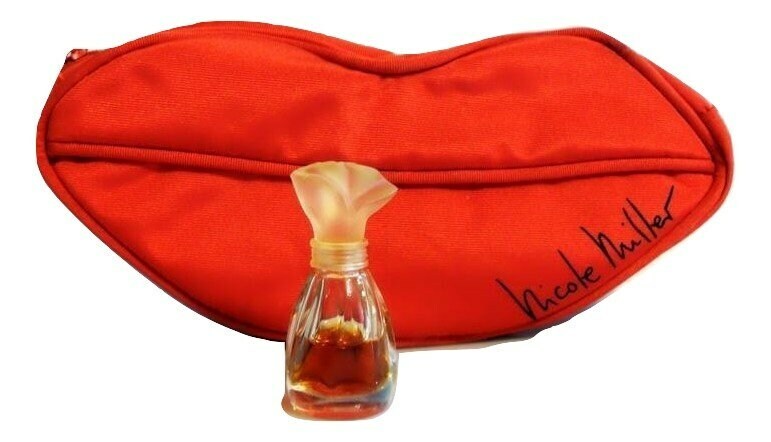 Vintage early 1990s Nicole Miller by Nicole Miller 0.17 oz Pure Parfum Miniature Mini Perfume & Cosmetic Bag Set. There is about 50% of the perfume still inside and it really smells good, a nice powerhouse fragrance. 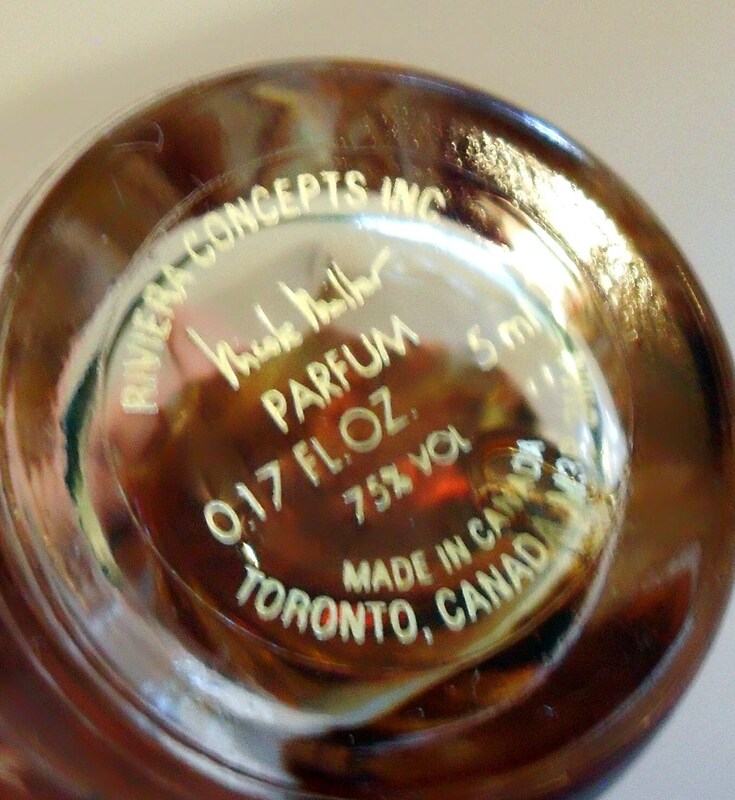 The base has a sticker reading "Riviera Concepts, Inc Toronto, Canada" which shows that this is the original, vintage formula. Newer bottles are owned by Parlux. 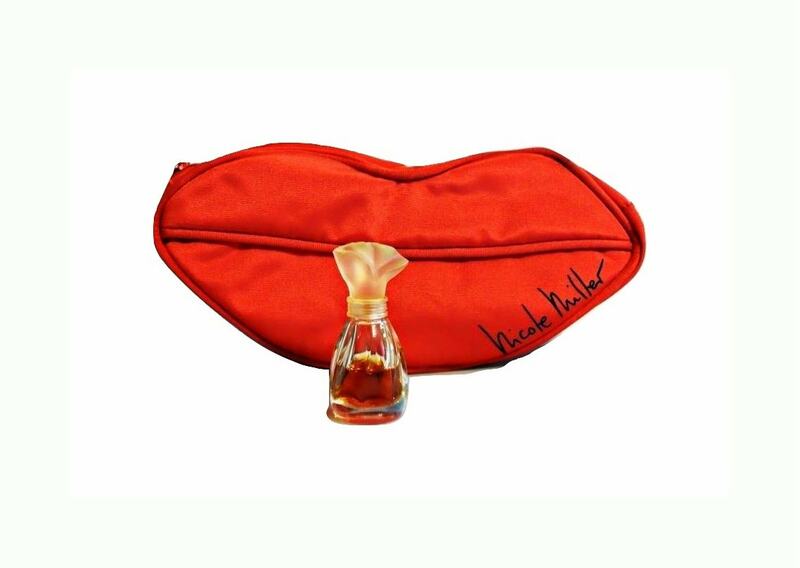 Nicole Miller is classified as an Oriental Floral fragrance for women. Nicole Miller was launched in 1993. Base notes are sandalwood, vetiver, tonka bean, amber, musk, benzoin, vanilla and cedar.